Driving around this week-end reminded me of how crazy the traffic and stores are for the rest of December until Christmas. Everywhere I go I get asked if I’m ready for Christmas. Hmm…that is a loaded question and the answer is Yes and No. For some reason, I’m not stressed even though I am further behind than I ever have been since having children. What I love doing more than anything this time of year, is grabbing some time and getting away from the commercialism to enjoy family and friends and the simple gift of time. If you don’t have time to get out-of-town, you can still take a break from it all by heading to the greenbelt and the Boise River. A great spot on the river is the Bown Crossing area. There is a foot traffic portion of the greenbelt as well as a bike portion. 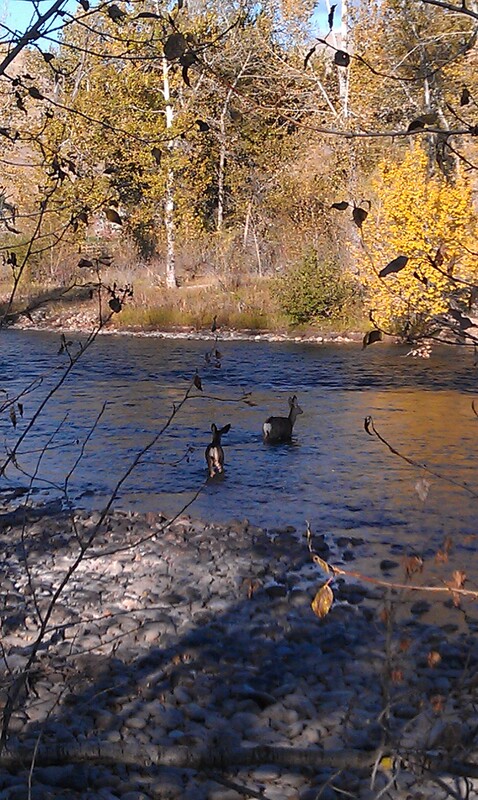 It is brisk but so beautiful and you sometimes get blessed with seeing wildlife. So after you have shopped at many of the great downtown stores AND the Bown Crossing stores, park your car and relax with your family or friends by taking a walk. You can top your walk off with lunch or snacks at one of the establishments at Bown Crossing. Sounds like the perfect stress reducer to me! To get to Bown Crossing take the I-84 connector or Broadway Ave to ParkcenterBlvd. Go to the end of the street until you pass Riverside Elementary.